Masons in northern Indiana and Ohio, southern Michigan, and the Chicago area take note. 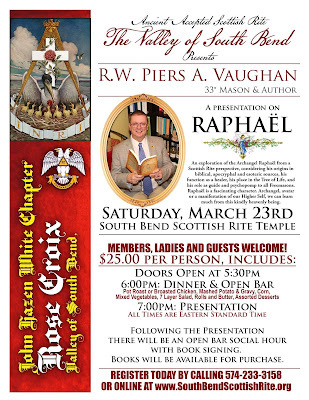 Worshipful Brother Piers A. Vaughan will be speaking this coming Saturday, March 23rd, at the Scottish Rite Valley of South Bend, Indiana. 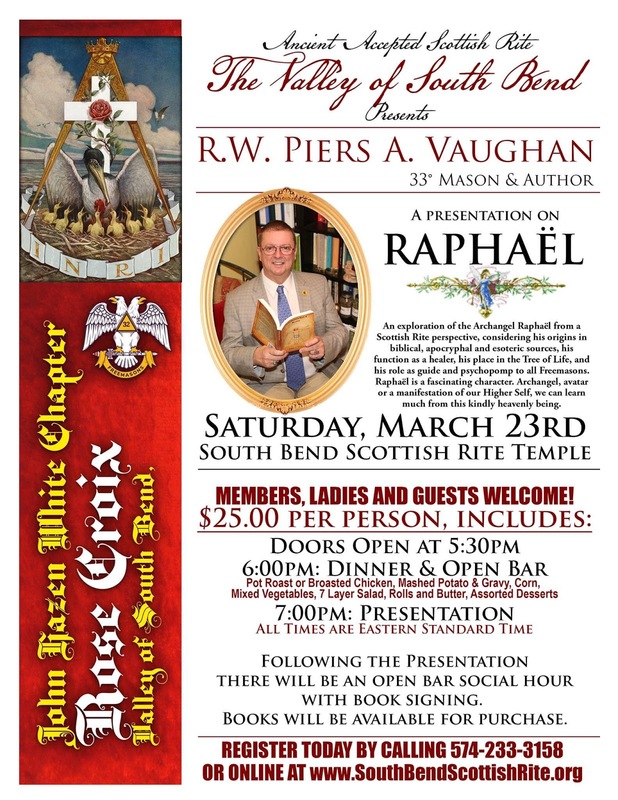 His presentation in South Bend will be an exploration of the Archangel Raphaël from a Scottish Rite perspective. He has a unique way of thinking through and explaining complex (and simple) ideas, and I promise that you will discover surprises and connections you were never aware of before when seen through Piers' always fascinating viewpoint. Piers is the most recently named Friar in the The Society of Blue Friars, an organization founded in 1932 for the express purpose of recognizing outstanding Masonic authors. Piers Vaughan has one of the most diverse and fascinating backgrounds for the study and understanding (and explanation) of Masonic, appendant, and other esoteric orders you will ever encounter. Originally, he is from England, and he belongs to lodges in England, Canada, and the U.S. Throughout his life he has lived in several European countries, Canada, and now resides in New York. He has a Master's degree in Divinity and another in Experimental Psychology; experience in both the Anglican and Catholic denominations and traditions; an MBA in Business Studies; a teaching diploma in Music; and much, much more. Piers has made extensive studies in history, alchemy, language (he has translated many texts from French to English), symbolism, cultures—truly what anyone would acknowledge to be a "Renaissance Man." Appropriately, one of his most recent books is 2017's outstanding Renaissance Man & Mason. He is also is the proprietor of Rose Circle Publications that is a source of other fascinating books along similar explorations of esoteric thought that mirror his eclectic mind and interests. 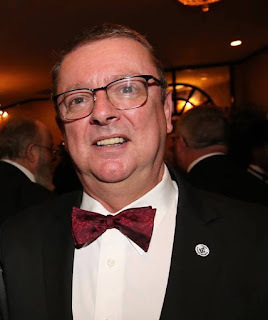 Originally initiated in Brighton, England, Piers has belonged to Masonic Orders in England, France, Belgium, Canada, and the United States> He is a Past Master, a 33° Scottish Rite Mason, a Past Grand High Priest in the Royal Arch, and one of the custodians of the famed George Washington Inaugural Bible owned by New York's St. Johns Lodge No. 1. The Indiana event will be Saturday, March 23rd, 2019 at the Scottish Rite Valley of South Bend. The cost is $25, and includes dinner and an open bar. Doors open at 5:30PM; dinner at 6:00PM; and the presentation is at 7:00PM. Piers will have some of his books available and will be signing afterwards. Register online at www.SouthBendScottishRite.org or by calling 574-233-3158.